The French oil major could well bid for the Dutch utility. As annual results show, it has the financial heft to pay a big premium. Yet so does Shell, which is equally keen to diversify into power – and with the potential trump card of home advantage. 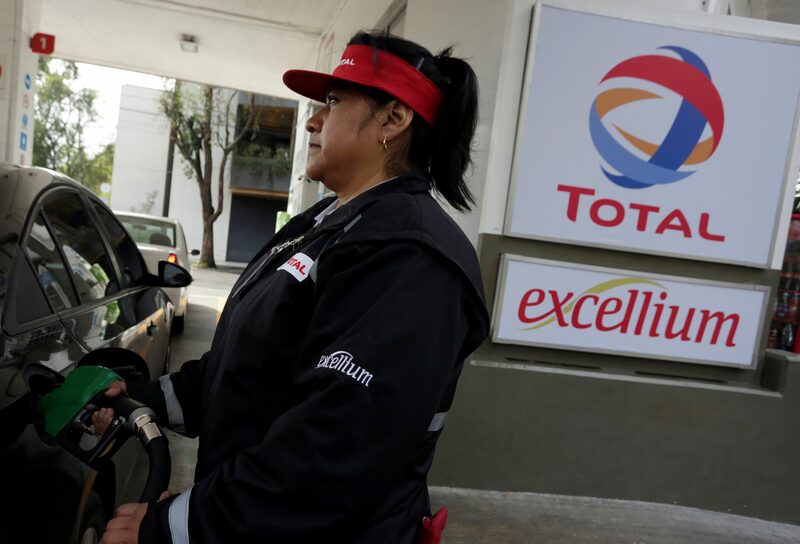 An employee pumps fuel into a customer's car at the French oil giant Total's first gas station in Mexico City, Mexico January 25, 2018. Total on Feb. 7 said fourth-quarter net income rose 10 percent to $3.2 billion from the same period a year ago. For 2018 as a whole, net income, which is adjusted for the impact of oil price changes on inventories, rose 28 percent to $13.6 billion. The French oil major announced 2018 hydrocarbon production of 2.8 million barrels of oil equivalent per day, up 8.1 percent on 2017. Total said capital expenditure and acquisitions for 2018 was $22.2 billion, on operating cash flow of $24.7 billion. Net debt was 15.5 percent of total capital, higher than 11.9 percent in 2017 but below a target level of 20 percent. Total is working with advisers as it weighs an offer for Eneco Groep, Bloomberg reported on Feb. 4. Total Chief Executive Patrick Pouyanné said on Feb. 7 the company had yet to decide whether it would bid for Eneco. Total’s shares were down 0.2 percent at 48.6 euros by 0830 GMT on Feb. 7.